The 1908 London Olympics features a unified design for many different types of participants and officials. Badges features the helmeted head of an athlete with a branch surrounded by a ring with their position. Referee, Competitor, Steward Committee, Steward, Judge, Score-Keeper, For Services Rendered, Polytechnic Committee, Gymnastics. While the central medallion design is the same for these, some badges feature additional decoration. 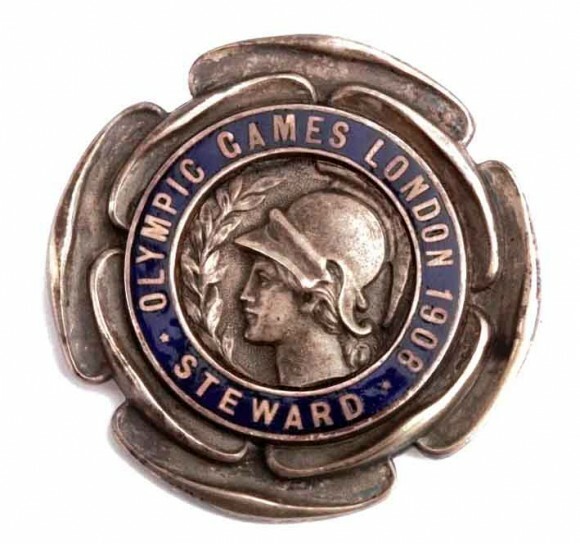 If you have a 1908 London Olympic badge please contact us for more information.